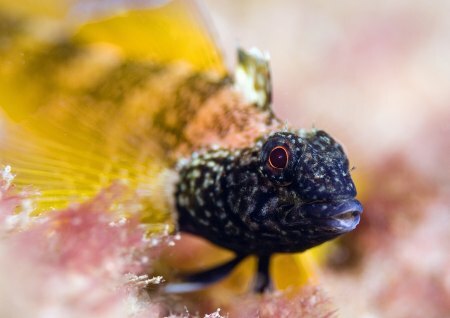 Arthur’s Kingdon’s striking image of a rare black-faced blenny, taken at Swanage pier, Dorset, has won the British Society of Underwater Photographers‘ (BSoUP) and The Wildlife Trusts‘ annual underwater photography competition. 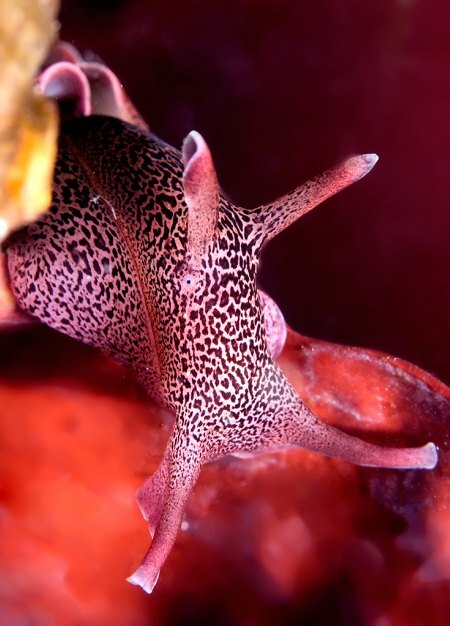 Mr Kingdon’s photograph of this shy species, which is only found off the south coast of Britain, impressed the judges with its vivid colours. He will receive a year’s free membership of his local Wildlife Trust and a copy of Prof Callum Roberts’ book The Unnatural History of the Sea. Mr Kingdon said: ‘I was pleased to win the 2010 British and Irish Award from The Wildlife Trusts, having been a runner-up a couple of years ago. 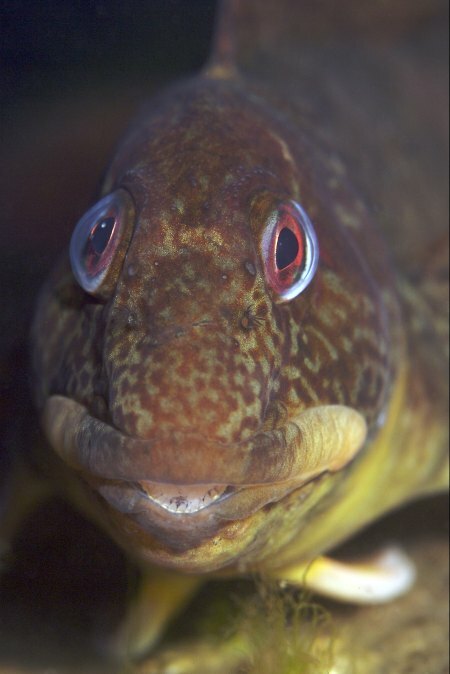 I very much support its Living Seas campaign, and I’m a member of my local Trust in Wiltshire. 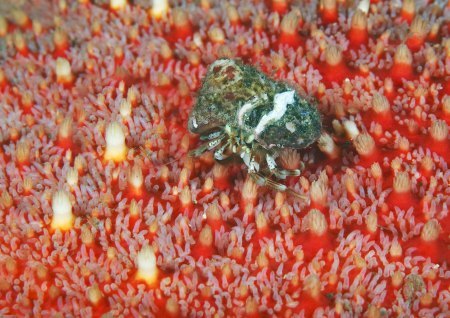 The runner-up was Trevor Rees’s portrait of a mighty spider crab. Mr Rees said: ‘I took this shot at Stackpole quay in Pembrokeshire. 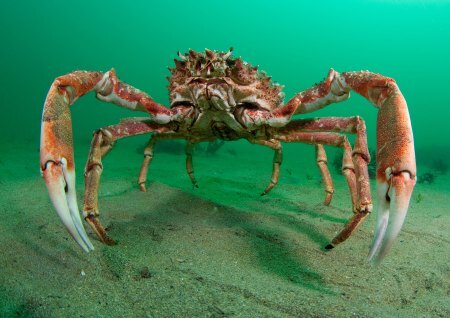 This spider crab was just wandering about on the sand in only 32ft depth. 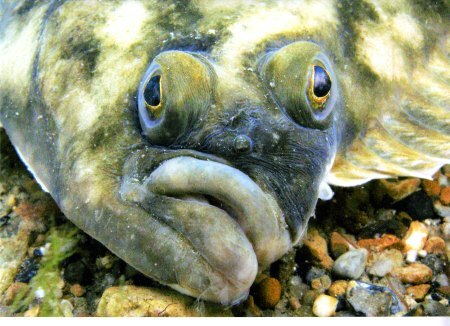 Judges for the BSoUP’s annual print competition gathered at the London International Dive Show on March 28, with The Wildlife Trusts judging the British and Irish categories. The winners captured the essence of ‘living seas’, according to the judges—the colourful and diverse wildlife and habitats found around our coasts. 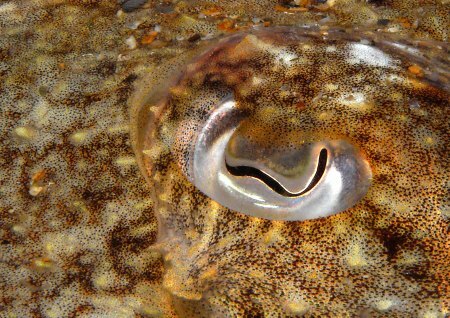 Lisa Chilton, judged and Living Seas manager, commented: ‘This competition is one of the most important events in the calendar for the UK’s marine wildlife. 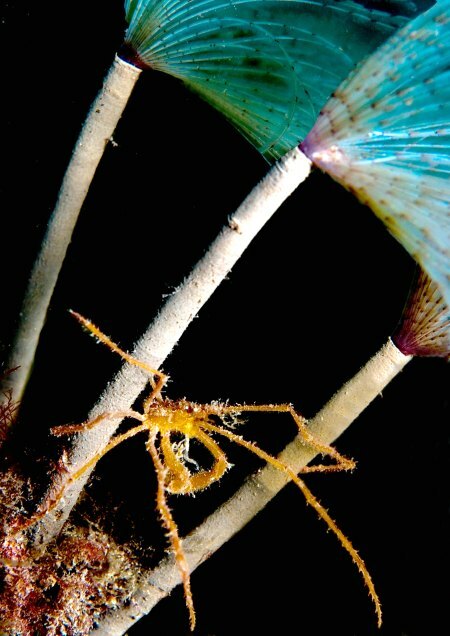 ‘Each year, we’re astounded by the remarkable entries, and overjoyed at the opportunity to catch a glimpse of the weird and wonderful goings-on beneath the ocean waves.